When you think of disabilities common to veterans, you may first think of obvious physical injuries, such as amputations, or mental conditions such as post-traumatic stress disorder (PTSD). While these disabling injuries are prevalent, many veterans are suffering from less obvious yet still debilitating disabilities upon return to the United States. The Department of Veterans Affairs (VA) recognizes a wide variety of disabilities that, when connected with military service, can lead to important financial and healthcare benefits for veterans. The following are some examples of lesser-known though serious disabilities that can entitle you to benefits. Military war zones are full of loud and literally explosive noises. Being around gunfire and explosive devices on a regular basis or even being too close to a single explosion can easily result in long-term hearing impairments. The two most common are partial or total loss of hearing ability and tinnitus, which is a ringing or buzzing in your ears. While both of these conditions can affect your quality of life, it is only possible to receive a 10 percent disability rating for tinnitus, which can still entitle you to financial benefits. There are various ratings available for hearing loss depending on the severity of the loss and whether it is in one or both ears. Many veterans experience vision loss or even total blindness in one or both eyes due to injuries to the eyes, other injuries including brain injuries, or due to degenerative conditions stemming from their service. Like loss of hearing, the amount of benefits you deserve will depend on the degree of vision loss you suffered and whether it affects one or both eyes. Many different medical conditions can cause veterans to experience chronic headaches. Living in constant pain can be debilitating and consistently taking painkillers can affect your mood, abilities, and can even lead to addiction. In addition, many veterans suffer regular migraine headaches due to accidents and injuries suffered in service. Migraines can cause intense sensitivity to sound and light, as well as nausea and vomiting. Migraines can require that you spend time lying down in a quiet and dark room without interruptions, which can make it difficult to work full-time. Benefits can be extremely helpful for veterans with chronic headaches or migraines. If you suffered sexual assault while in the military, you may be experiencing ongoing psychological trauma including post-traumatic stress disorder (PTSD). This can be extremely disabling and, if not properly treated and addressed, can lead to other psychological issues. The VA has been paying increasing attention to victims of MST and provides benefits to help support them. EVen if you were previously denied for benefits for MST, you can have your application reevaluated under the new standards regarding PTSD. No matter what type of disabling condition you may have after your military service, VA disability claims lawyer James R. Comerford is on your side. 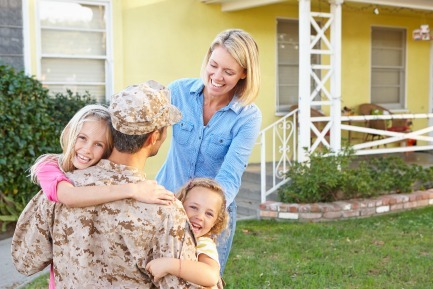 Our office is committed to advocating for the rights of veterans in and around the Chicago area and we can help you obtain the financial benefits that you rightfully deserve. Please call the Comerford Law Office today at 312-863-8572 for help.